说真的, Foxit虽然很不错, 但其实在显示方面真的不怎么样, PDF X Change Viewer显示效果都比它好. FAQ: Why part of the TinyPDF print driver UI is grayed out? Because those parts of TinyPDF print driver do not include the implementation code in order to make TinyPDF smaller. 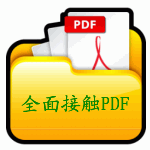 @chonghua, Office 2010 导出的PDF效果很好,另外 Adobe PDF 和 Foxit PDF printer 虚拟打印出的PDF文件效果也很好,以上很好的评价是在 Adobe Reader 和 Foxit Reader 两种阅读器下,其它阅读器没试过.